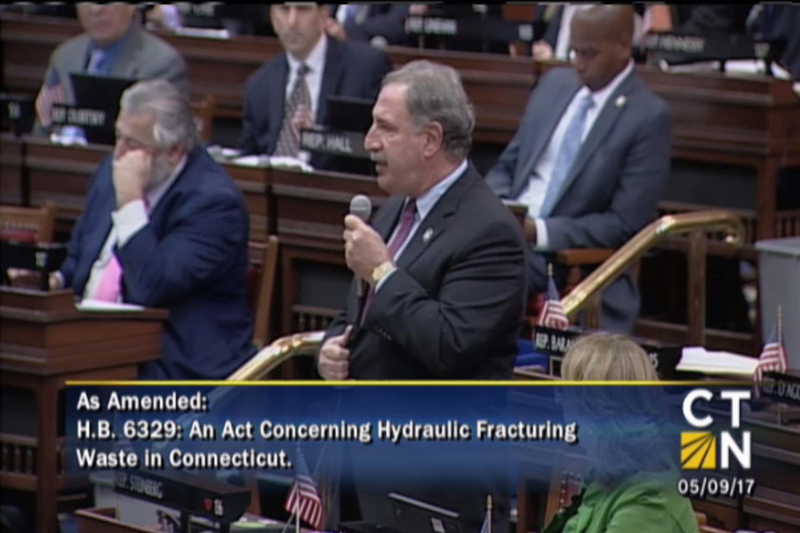 This legislation permanently prohibits the use, handling, storage, or disposal of fracking waste in the state. No one should be eager to see such waste come to Connecticut. It contaminates the water used in the drilling process, millions of gallons for each drilling well, which is then impossible to clean. It's typically full of various toxins and heavy metals, as well as chlorides and bromides which would damage any processing facility that tries to handle it. Fracking waste from the Marcellus Shale deposits in Pennsylvania also contain alarmingly high levels of NORM -- Naturally Occurring Radioactive Material -- which is not something we want here. It's bad stuff. Let's hope that the State Senate and the Governor soon follow suit in assuring the health and safety of Connecticut's residents.